Nearly 90 years later, Bela Lugosi’s Dracula remains the best-known vampire ever committed to film. However, the Count wasn’t Lugosi’s only performance as an undead bloodsucker. Indeed, a mere 12 years after 1931’s Dracula, Lugosi found himself in a similar role with 1943’s The Return of the Vampire. Though not viewed as a classic ala the Todd Browning flick, the notion of Lugosi as a different vampire offers intrigue. Back in 1918, Hungarian vampire Armand Tesla (Lugosi) fed on various English villagers. This reign of terror ended when scientists Professor Saunders (Gilbert Emery) and Lady Jane Ainsley (Frieda Inescort) stopped him via a railroad stake through his heart. 23 years later, a stray Nazi bomb manages to rouse Tesla from his slumber. Aided by werewolf servant Andreas Obry (Matt Willis), Tesla seeks violent revenge on the family of those who halted his actions in the past. Though we associate this era’s horror with Universal Studios, Return shows that others explored the topics as well. 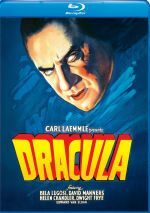 In fact, Columbia intended to present Return as a sequel to 1931’s Dracula and only backed off when Universal threatened legal action. This makes it no surprise that Lugosi plays Tesla in a vein highly similar to his performance as Dracula. Granted, it seems logical that he’d portray two vampires in a similar way, but the lack of variance just makes it even easier to compare the two films. Although I don’t love the 1931 Dracula, it works a lot better than the bloodless Return. I appreciate that the 1943 film does more than just remake the earlier tale, but it doesn’t manage to create a terribly interesting narrative. Lugosi doesn’t flop in the role, but he seems considerably less invested than he did 12 years earlier. Whatever flaws I find in the 1931 Dracula, Lugosi excels, as he creates a character with ample charisma, menace and charm. Lugosi’s Tesla comes across like a pale imitation. Not that Lugosi lets down the film, as he brings a perfectly acceptable performance here, but he just seems a bit bored and only vaguely involved in the proceedings. The erratic story doesn’t help, as Return bops from one plot point to another without great clarity. The use of a werewolf as Tesla’s assistant seems gimmicky at best, and none of the narrative elements manage much depth or cohesion. It doesn’t help that Return paints the characters as morons at times. For instance, shouldn’t Lady Ainsley recognize Tesla under his guise as “Dr. Bruckner”? She killed him 23 years earlier, and Professor Saunders also had a book with Tesla’s image, one that we assume he showed to Lady Ainsley. It stretches credulity that she doesn’t identify him. My biggest issue here simply stems from the lack of thrills or excitement on display, though. Returns offers a competent horror film but not one that ever threatens to become better than mediocre. The Return of the Vampire appears in an aspect ratio of approximately 1.33:1 on this Blu-ray Disc. While a lot of the image looked good, some negatives came along for the ride. My biggest concerns stemmed from print flaws, as I noticed specks, spots, lines, and blotches. These created persistent distractions. Sharpness was erratic. Much of the film showed decent to good delineation, but more than a little softness interfered throughout the movie. No problems with jagged edges or shimmering occurred, and edge haloes remained absent. Blacks seemed acceptably deep – though occasionally mushy – whereas shadows offered reasonable clarity. This inconsistent presentation looked too messy for a grade above a “C-“. In addition, I thought the monaural soundtrack of Return was decent but no better than that. Speech showed a little edginess and usually seemed thin. Nonetheless, the lines offered good intelligibility across the board. As we shift to extras, we find three separate audio commentaries, the first of which comes from film historian Lee Gambin. During his running chat, Gambin looks at the werewolf movie genre, with a particular emphasis on the efforts of the 1940s. As he explains at the start, Gambin wrote an essay on the subject to connect to a longer work about 1981’s The Howling, and he reads that text here. This means we get much less of a traditional commentary from Gambin and find something more on the lines of “books on tape”. In terms of content, Gambin knows the subject well, and he relates a lot of useful information. However, the format becomes a major obstacle, as Gambin delivers the material in an unsatisfying manner. Gambin races through the text and tends to stumble over words, factors that make his discussion tougher to absorb mentally. As much good info as Gambin provides, he delivers it in such an erratic manner that the commentary turns into a tough listen. I’d prefer to simply read Gambin’s work than hear him narrate it. For the second commentary, we hear from film historian Gary Don Rhodes. He provides his own running, screen-specific view of the movie’s production and related genre elements. Compared to Gambin, Rhodes provides a much more traditional film historian commentary, and he does well in that regard. He brings us a nice array of notes and makes this an engaging, informative view of the movie. Lastly, we find a commentary with film historian Troy Howarth. Once again, we discover a running, screen-specific examination of various topics related to cast/crew and the production, with an emphasis on actor Bela Lugosi’s circumstances in the 1940s. This means Howarth occasionally repeats info from Rhodes’ chat, but this occurs infrequently. In general, Howarth offers fresh material, and he offers a lively presence that turns this into a strong commentary. An unusual extra, the disc boasts a silent version of Return. While that implies we’ll see the whole movie sans audio, instead it just provides an eight-minute, 19-second segment. As mentioned at the reel’s start, in the pre-VHS era, studios would release abbreviated 8mm segments of movies for home viewing, and that’s where this snippet originates. The film looks awful but this seems like a fun curiosity to see. In addition to the film’s trailer, we finish with a Still Gallery. This compilation presents 71 images that mix publicity elements, ads and shots from the production. It becomes a good collection. 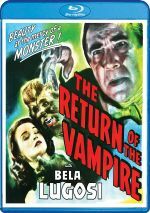 With Bela Lugosi back as a bloodsucker, 1943’s Return of the Vampire comes with decent potential. Unfortunately, the film seems bland and forgettable. The Blu-ray offers flawed visuals along with acceptable audio and supplements highlighted by three commentaries. Return offers a mediocre horror flick.